There have been several boldly revealing Israeli documentaries, namely The Gatekeepers (NYFF) and The Law in These Parts (SFIFF). There was also The Lab (SFIFF), an eye-opening film about Israeli's huge arms production and sales. This one is about Israel intelligence. Like those others, it relies on testimony by retired persons, in this case former operatives of the Mossad, the spy organization. Again this is mostly talking heads (with some archival footage and suggestive imagery), but the filmmakers get information that for a mainstream documentary may be new. This film seems as devious as its subjects because it keeps changing names. For its German TV release, it was called Inside Mossad - Israels Agenten erzählen. For French release, it was titled Mossad: des agents israéliens parlent. The timid title for the San Francisco Jewish Film Festival presentation is The Mossad. On IMDb it's called Mossad: Imperfect Spies - the distributor's English title. So what is its direction? Is it an exposé, or is it a puff piece? Or is it just coldly neutral? More a puff piece, I fear. It's revelations are not that. This is a film for Arte, to be shown on German and French TV, and rather routine. The material may be intriguing to the uninformed, but unlike The Gatekeepers and The Law in These Parts, the interviewees are not revealing anything new. Still, since the Mossad has always been officially "sealed off from the media," this participation in a film by many of its veterans does mark a change. Ram Ben Barak, Deputy Director, the first to appear, is an engaging presence, a fit fellow of a certain age, with a ready smile. "Let's put it this way," he says. "The image isn't far from reality. And sometimes reality is stranger than fiction. . . And with that" (that smile) "I've contributed to the image." For ancient history so to speak, the film talks to 91-year-old Rafi Eitan, head of Mossad in its first 30 years. He talks about catching and killing a double agent; personally capturing Adolf Eichman in Argentina, and recruiting ex-Nazi Otto Skorzeny, who'd escaped to Spain, then helped train the Egyptian army, then betrayed his German colleagues in Egypt in return for security. Zvi Zamir was another Mossad director. He is known for directing the operation "Wrath of God" to enact revenge against the Palestinian guerrillas who captured the Israeli Munich Olympics hostages. The introduction of this is rather propagandistic in tone, and Zamir's extreme displeasure at how the Germans handled the affair, allowing the hostages to get killed, has frequently been expressed before. The revelations of Egyptian 1973 war plans by Nasser's son-in-law Ashraf Marwan, described here by several retired Mossad officers, are also, of course, not news. But this allows for some general remarks about relations between a "handler" and his "asset" in intelligence-gathering. An interesting facet of the film is Zvi Zamir's description of his delicate relationship with "The Saint," Ashraf Marwan, their mutual respect, and his real sorrow that Israel betrayed this key asset and allowed him to be killed in London. Titillating spy stuff comes with the story of "Tamar," a female agent sent to gather intelligence in Cairo. She is not seen full-face, and many photos of her at the time are shown, but with her and her "partner's" eyes masked. Silly, perhaps; but interesting to learn that after she and her assigned "partner" became a real couple, her commander took steps, unspecified, to break them up that made her "very, very angry." Something for a spy novel. The Periphery Doctrine in Israel intelligence is a policy of establishing a network of sympathetic contacts "to break through the ring of hostile countries surrounding Israel." This in effect has led to Israel fomenting rebellion and unrest all over Africa and the Middle East; but they also defended the defenseless, as in South Sudan. This was military activity, not intelligence or counterterrorism. Mossad was great friends with the Shah of Iran and his secret police, the dreaded Savak; "The crowned cannibals" were just fine for them. An even more ugly moment is the 1982 war in Lebanon and the Sabra and Shatila massacres of Palestinians aided and abetted by the IDF and the Mossad. And the chief Mossad operative in Lebanon, in his nice leather jacket, is dismissive, literally shrugging his shoulders about Sabra and Shatila. Here, the filmmakers have gotten something tasty. Mossad (and intelligence organizations in general) look rosier when the film arrives at the present day troubles with post-Khomeini Iran. (Incidentally Mossad decided not assassinating Khomeini was best, though some of its members regret this decision.) President Netanyahu wanted to bomb the Iran nuclear plants; Mossad's then leader declared tis a "harebrained" idea. Taking out Iran's nuclear scientists and facilities stealthily was a better plan. What about an international treaty to curb Iran's nuclear arming? Not in the Mossad playbook. Mossad is all about war. It's just not overt war. But as Ram Ben Barak, Deputy Director, the handsome, urbane speaker who bookends the film, declares, intelligence's "unconventional" war is less costly, and far preferable, to the conventional kind. And he realizes in his capacity he has wielded great power in the world. Can he give examples? Well - that smile again - actually, no, he can't. In a promotion for this film Duki Dror has declared, in English (all the film is in Hebrew) that "Mossad" is the most known Israeli word after"shalom." "Shalom," he says, and then "Mossad," and "then maybe 'fellafel.'" Sorry, Fellafel is an Arab, not Israeli, word, Mr. Dror. 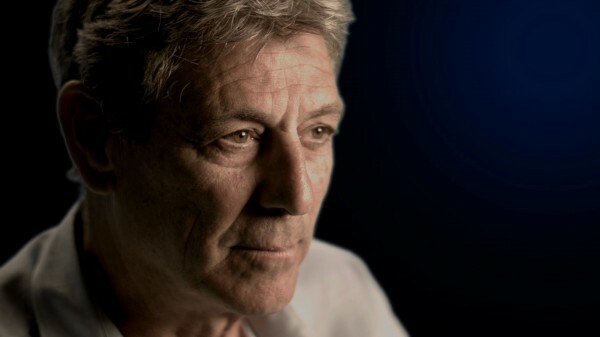 The Mossad: Imperfect Spies, 90 mins., debuted on TV from Germany 24 Apr. 2018. It will be available for streaming on Netflix in Jan. 2019. It was screened for this review as part of the San Francisco Jewish Film Festival, where it shows on Tues., 24 July at CitiArts, Palo Alto; Thurs. 26 July at the Castro, San Francisco, at 1:15 p.m.; and Fri., 27 July at Albany Twin, Albany at 3:50 p.m.